A pretty dismal response to last night's trap. The temperature fell rapidly as the sun went down and I wasn't optimistic but 4 moths is very low indeed. Partly due to using the 'rain tent' and trying to find a spot that wouldn't attract the new colonies of wasps that have sprung up everywhere. However one of the four captured was the Sallow (Xanthia icteritia) a moth that has a number of different variations of colour and intensity of markings. 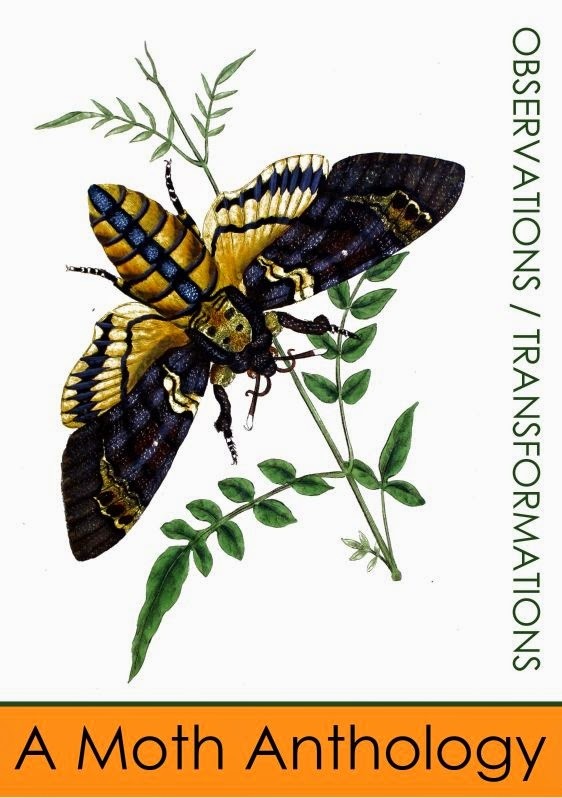 The black dot on both wings seems to be consistent and is visible in both the live specimen in the photograph and in the drawing beneath. The Caladrius (or Caladril) is a mysterious, mythical bird that can be associated with the Sallow (Xanthia icteritia). The icteritia part of the binomial refers to the Icterus, a bird that was said to cure a jaundice sufferer by removing the yellowness (xanthia) from the human body. It looks the ill person in the face and the jaundice transfers itself to the bird. The Caladrius is a white bird that lives in the chamber of the king and is also capable of healing the sick. If the bird looks at the face of the ill person then that person will recover as the bird will draw the sickness into itself. It will then fly towards the sun to have the disease burned out of its own body. In a drawing from the Harley Bestiary in the British Library there is an image of a king (with crown) lying upon his sick-bed. The benevolent Caladrius is perched on the bed-rail and looks as if it is just about to fly to its fiery purge. 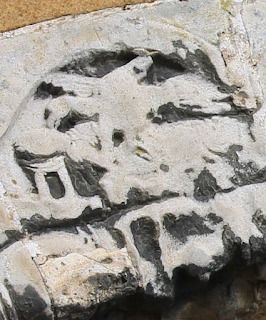 Just down the road from Coxwold is the village of Alne which has a beautifully carved north doorway. 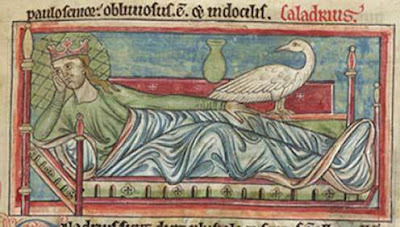 In the photograph above you may be able to see how the Caladrius, with wings spread, has its beak very close to the head of a person lying prone upon a bed. Clearly this individual is being cured rather than being rejected by the power of the bird. The other moths were a Pale Eggar, a Broad-bordered Yellow Underwing and a Flounced Rustic.